Mary Tufton was the daughter of Sir John Tufton, 1st Bt. 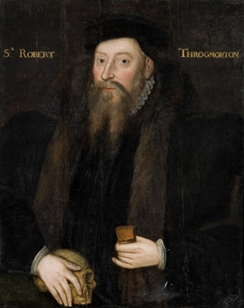 and Christian Browne.1,2 She married Henry Constable, 1st Viscount Dunbar, son of Sir Henry Constable and Margaret Dormer, circa 1612. 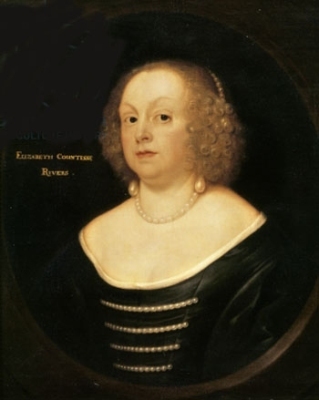 She died between 8 April 1659 and 14 June 1659. From circa 1612, her married name became Constable. [S15] George Edward Cokayne, editor, The Complete Baronetage, 5 volumes (no date (c. 1900); reprint, Gloucester, U.K.: Alan Sutton Publishing, 1983), volume I, page 70. Hereinafter cited as The Complete Baronetage. [S6] Cokayne, and others, The Complete Peerage, volume XII/1, page 690. [S6] Cokayne, and others, The Complete Peerage, volume III, page 13. She gained the title of Countess Rivers, suo jure.1 From 14 May 1602, her married name became Savage. [S1517] Dale Parker Anderson, "re: Purcell Family," e-mail message to Darryl Roger Lundy, 8 November 2005. Hereinafter cited as "re: Purcell Family." [S6] Cokayne, and others, The Complete Peerage, volume XI, page 458.